Join friends on my fan page. to the world of award-winning author, Ramona D. Marek, MS Ed. A world where the arts, culture, history, and lots of fur and purrs come together into the printed word. In her career as an author, freelance writer, and contributing writer, her work has been printed in numerous national and international print and digital magazines. She is an author whose writing and curiosity know no bounds, but her work is surrounded by three touchstones. Ramona has an interest in the arts, both classical and popular culture as well as history. She has published many articles focusing on the intersection of these studies and where they intersect with other fields. 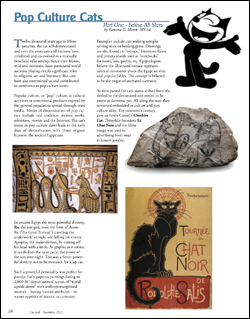 Read her “Cats in Pop Culture” or “Persian Lion – Royal Symbol of Power” over on her “Works” page of this website. Both are facilities that any writer should aspire to. Are you a cat owner or are you thinking about becoming one? If cats have already cast their magical spell on you, you’ll find valuable information for you and your feline friends. If you’re getting your first cat or find yourself unexpectedly living with a feline roommate, welcome to the cat fancy. Get ready for a whimsical, enchanting, and affectionate lifelong relationship! 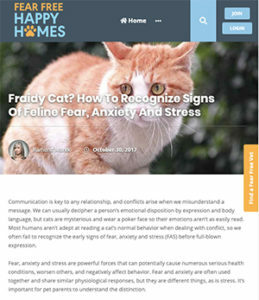 Part 1, Selecting a Cat, focuses on the responsibilities of having a cat, picking a compatible feline personality, preparing your home for a new cat, and making proper introductions to other pets and family members. Part 2, Life with Your Cat, delves into feline nutrition, reading and understanding cat food labels, verbal and nonverbal feline communication, and basic care and grooming of your cat. 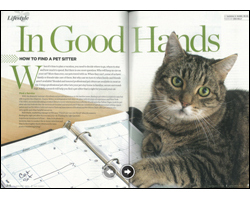 Part 3, Keeping Your Cat Healthy, covers how to choose a veterinarian, important vaccinations for your cat, common feline diseases, and fascinating feline anatomy. 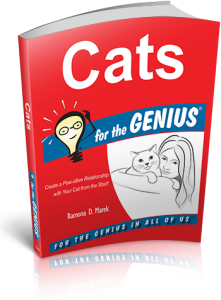 Finally, Part 4, Partings, is about the ways we part company with our cats, life expectancy, and the difficult end-of-life decisions we must make. Sprinkled in each chapter are a variety of sidebars with tidbits of extra information. 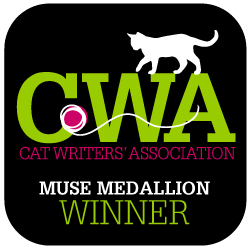 Awarded a 2016 Cat Writers’ Association Certificate of Excellence. cannot be used without her express permission.